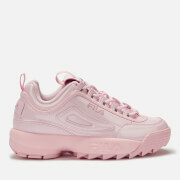 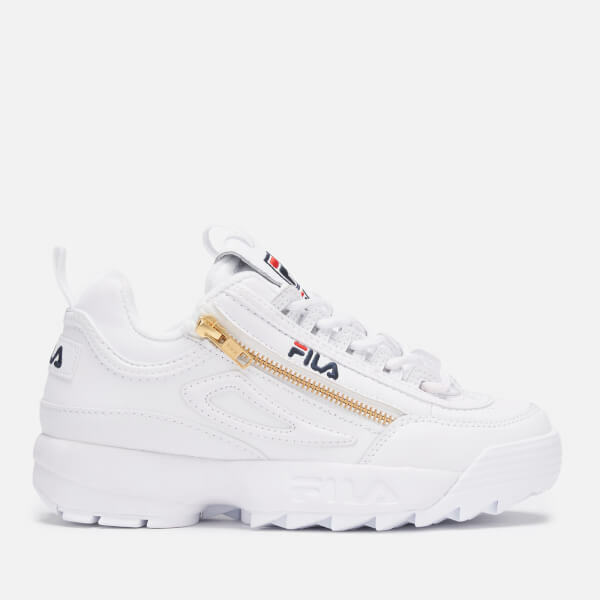 Designed with white leather uppers, the women’s Disruptor 2 trainers from FILA continues the ‘90s revival of the chunky sneaker trend with serrated rubber soles and a bulky graduated heel. 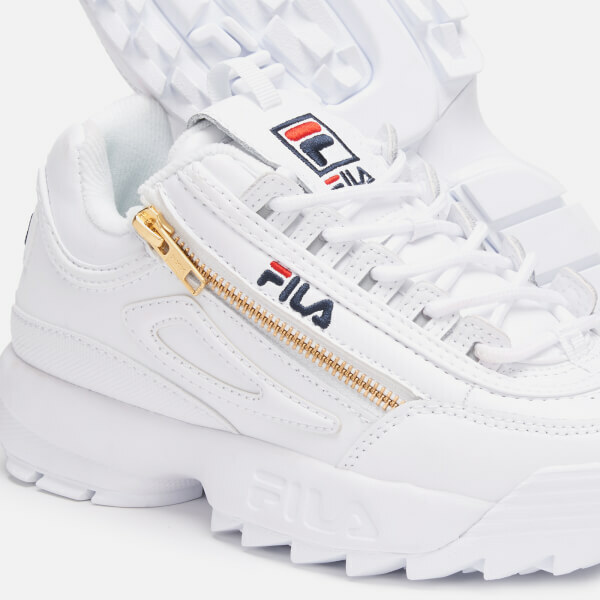 The low-tops feature a rounded toe, a gold-tone zipper on the outer vamp and lace-up fasten that weave through integrated D-hooks on both sides of the lace guard. 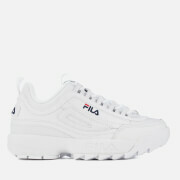 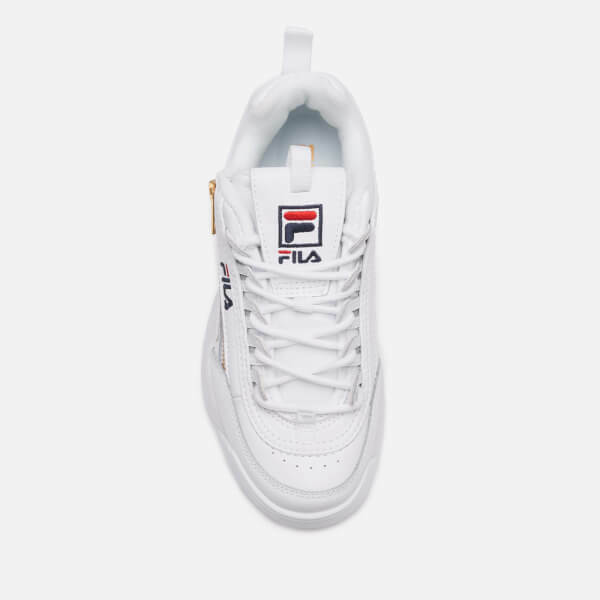 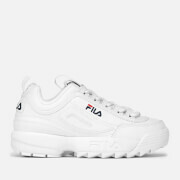 Set upon a statement EVA midsole for ultimate style and responsive cushioning with every step, the trainers are detailed with a contrast trim adorned with FILA branding. 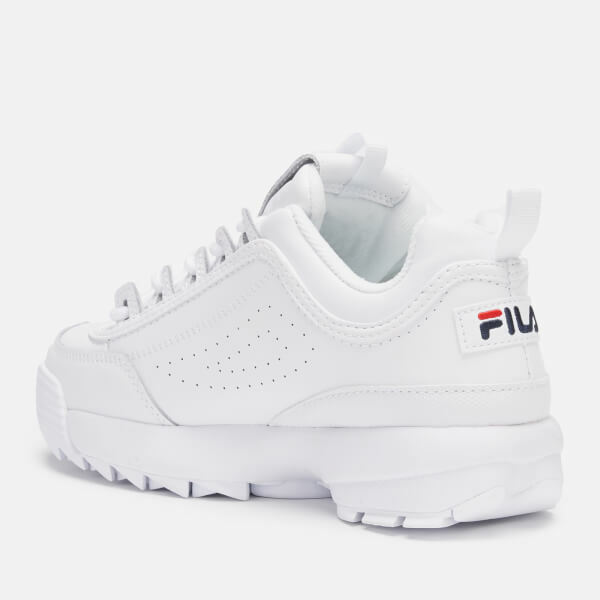 Perforated panels offer enhanced ventilation, heel tabs provide entry assistance and embroidered logos on the tongue and heel offset the white colourway.